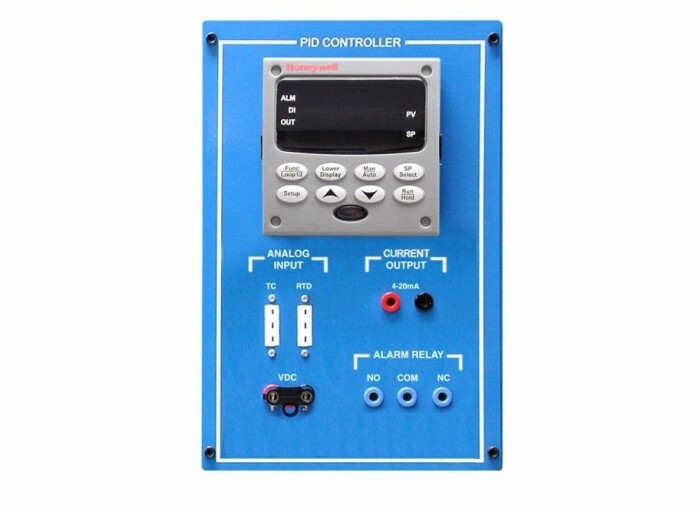 The T5553-C1-A PID Controller Module – Single Loop adds to the T5553 Process Control Learning System to provide microprocessor-based PID control of process control systems. The T5553-C1-A consists of a powerful Honeywell PID controller that is mounted and wired to a panel that attaches to the T5553 control panel. It also supports advanced control methods such as ratio, feed forward, and cascade control.